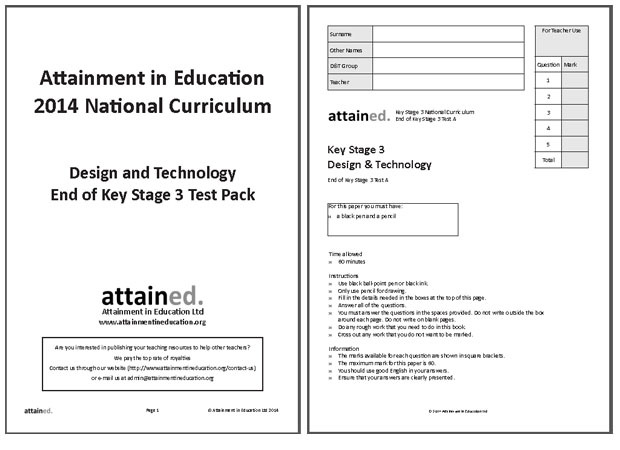 This pack from Attainment in Education contains two end of Key Stage 3 tests for Design and Technology. These tests are designed to provide summative assessment at the end of the key stage. Each test presents several multi-part questions covering each strand of the 2014 National Curriculum for Design and Technology. 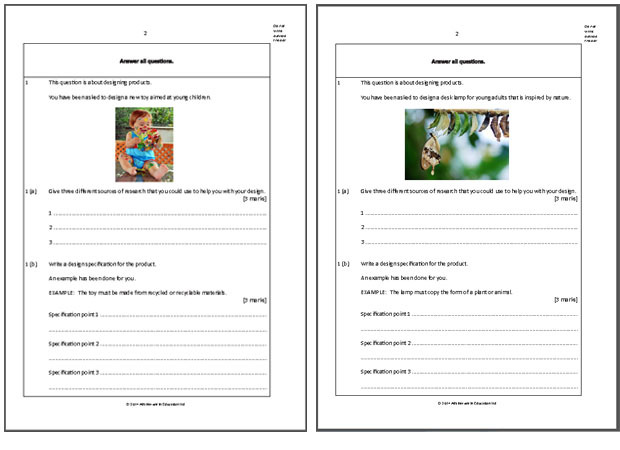 These can be used in conjunction with the KS3 D&T Baseline Test Pack (Product Code BTDT1) to demonstrate pupil progress made across Key Stage 3.